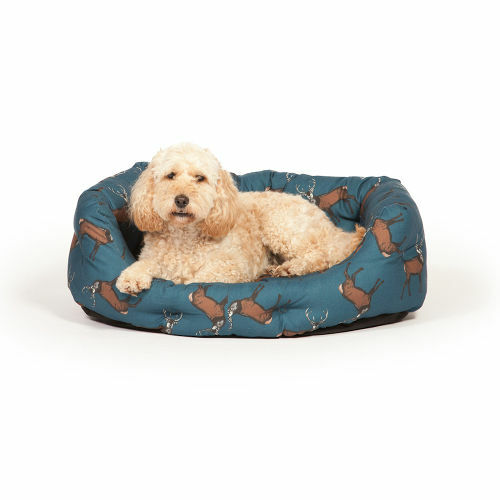 Provide a comfortable bed for your dog whilst adding a touch of the British Countryside to your home with a Danish Design Woodland Stag Deluxe Slumber Bed. 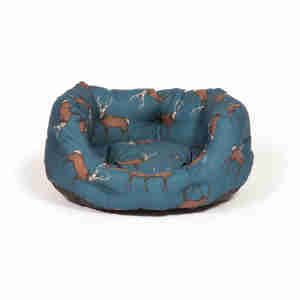 Deep filled with supersoft polyester, the quilted fibre edges provide a much needed headrest and keep any cold drafts at bay. The inner mattress offers that extra layer of comfort and the whole bed can be machine washed – perfect for dogs that like to explore the woods!